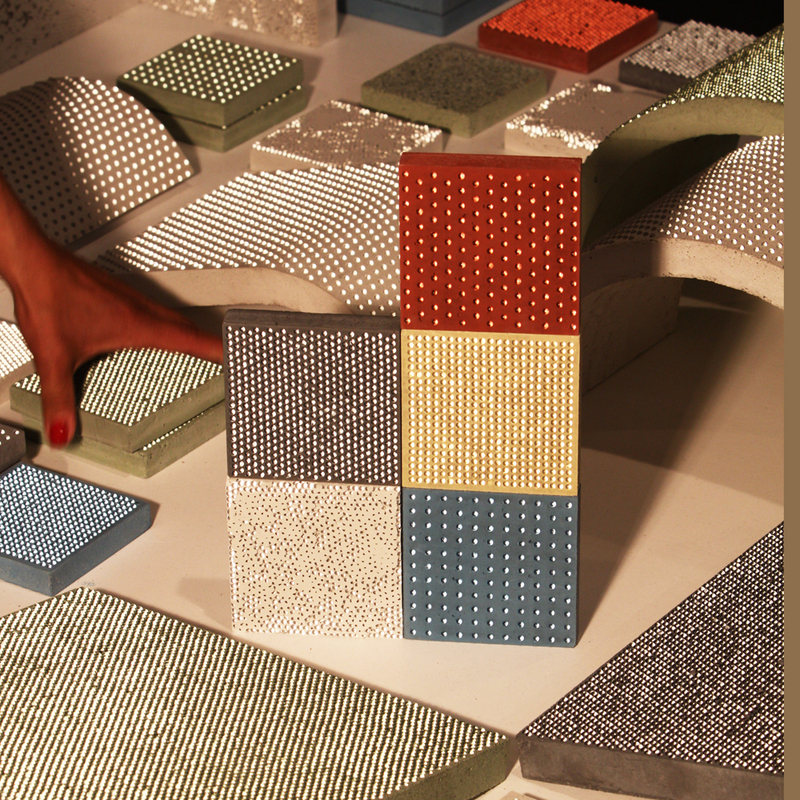 The BlingCrete™ Colour Spectrum | BlingCrete . is the third factor determining the BlingCrete™ surface – beyond light reflection and texture. BlingCrete™ is available in a variety of colours. The matrix can be produced in a greyscale variety from white to anthracite, and in rich vibrant colours like yellow, orange, red, blue, green etc.